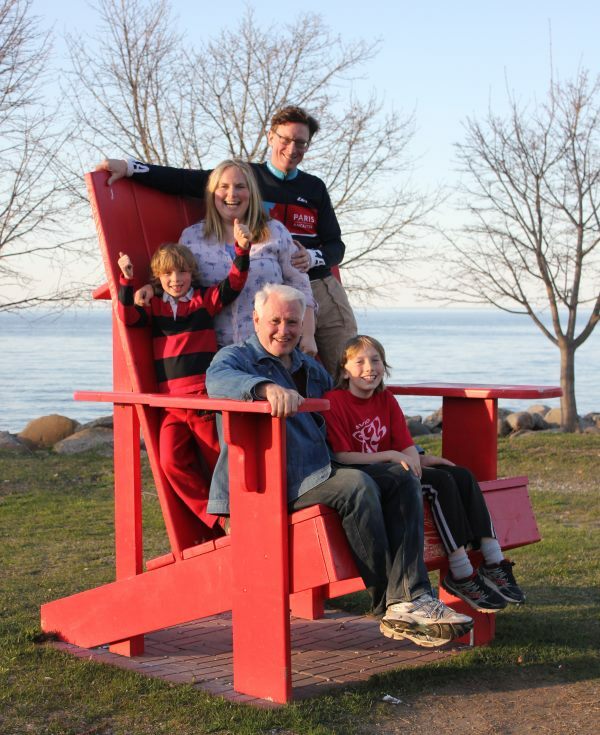 If you visited anywhere from Leith to Memorial Park in Meaford last summer, you may have noticed one of Meaford’s Brobdingnagian Muskoka chairs. Simply put, they’re the “best seats in Ontario”. Last summer, Meaford set up 10 bright-red Muskoka chairs at attractions and scenic locations across the Municipality. In addition to providing family-size seating and photo-ops, each chair included a panel with information about local history and nearby attractions, along with a map inviting them to tour the other chairs. 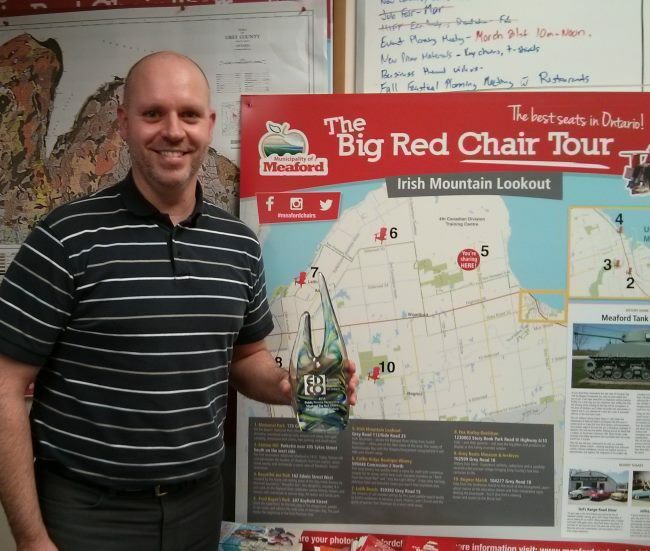 The Big Red Chairs Tour was a big success, and Meaford nabbed the Economic Development Council of Ontario’s marketing award of excellence for Public Private Partnership 2017. EDCO’s criteria included the extent to which the collaboration and/or partnership formed in the planning, development, and finance; demonstrated economic benefit to the community; and the creativity and innovation in packaging the project. The tour began in 2015 when Economic Development Officer, Stephen Murray, asked Drew Ferris, a tech teacher at Georgian Bay Secondary School, for help. Ferris got his class to scale up some plans for some ordinary-sized Muskoka chairs and build them. Last year, they built three more, and Scott Gooch, of Bayview Escarpment Fine Furniture and Cabinetry, contributed another two. MyFavouriteMarketer was pleased to be a part of the Tour. After the first season’s deployment, we sat down with Murray to brainstorm how to make the most of the chairs. Murray suggested that each chair include a panel inviting visitors to continue “The Big Red Chair Tour”. Working with Jonny Kearns of enclave design in Collingwood and contributions from Allison Kennedy Davies, myFavouriteMarketer prepared and designed individual panels for each chair. We also prepared a brochure promoting the Tour, which was distributed to dozens of day-trip locations throughout the region by the Georgian Triangle Tourist Association.